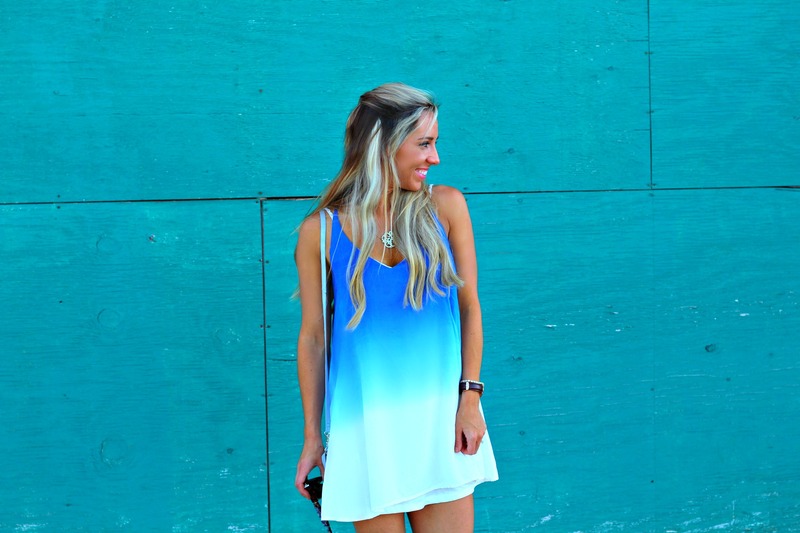 This gorgeous blue ombre dress is sure to be on repeat all summer long! It’s lightweight and soft, and you can easily pair it with your favorite wedge, flip flops, or even some converse. It’s available in the Discount Divas Facebook group, make sure to go check it out! My Robinson Crossbody is my go to bag for dinner, going out, or even just running to the grocery store. It can hold your cell phone, small wallet or there’s slots for cards, and your favorite lipstick! It’s cute and goes with everything. These wedges have been hot all season long, and are hard to get! I always try to link them and some other super similar ones too that are just as cute. But almost every size is available, or at least available through backorder. They are great quality and a must have wedge for sure. My Daniel Wellington watch is so classic and I wear it with literally everything. I love the dark brown band, and the simple face of the watch. It’s comfortable, functional, and a new staple piece in my wardrobe. Make sure to use code “ACCORDINGTOBLAIRE” for 15% off your very own. Thanks for coming by today loves, what do you think of the new site? Would love to hear your feedback and comments 🙂 Have a great day! This dress is gorgeous and it looks stunning on you! You’re so tan!! Love those wedges. Thanks Lauren! You’re the sweetest! 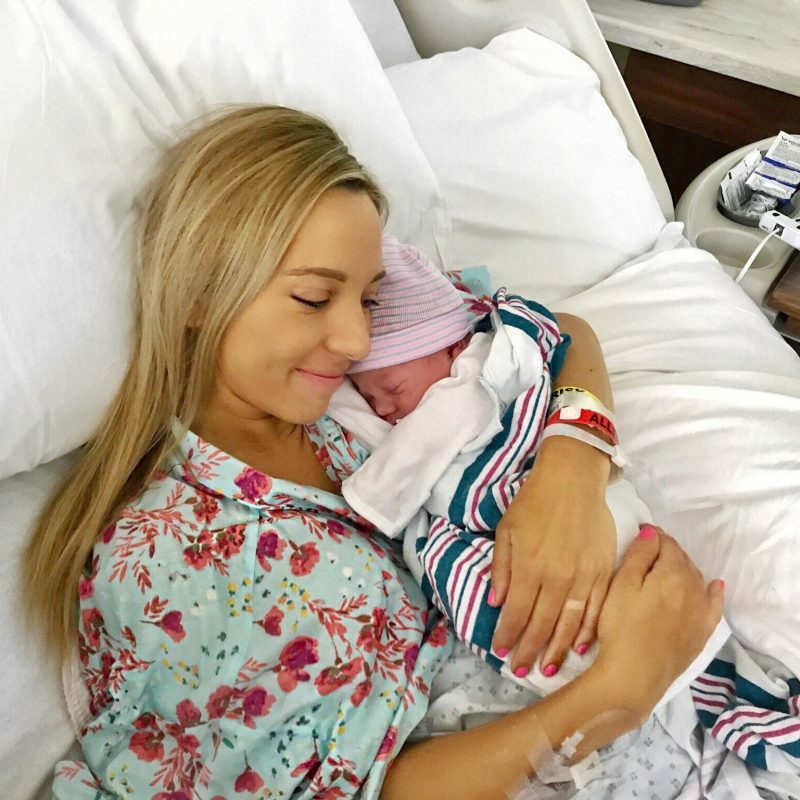 Your dress is super cute – perfect for summer! Love this dress! You look gorgeous! Aw thank you so much! Means a lot! I loveee this blue dress and the ombre effect. The colors are amazing and it is seriously the perfect dress to throw on for a beach trip or a night out. ALWAYS my fav shoes! I need your tan too!!! Thank you so much babe! Have a great weekend! I love this look! 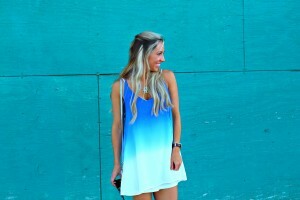 I have been an ombre fan forever- the deep blue is gorgeous! and i totally agree about those wedges- i have tried to purchase them a few times, always sold out! they are too cute ! Aw! Thank you! I was lucky enough to snag them when I did! You are gorgeous! 🙂 thank you girl that means a lot! I love this dress! It’s the perfect summer dress! And I love those shoes! Aw thanks girl! Have a great day! Girl you are so sweet!! Thanks so much for making my day! Love this ombre dress. So chic! This dress is perfection, I seriously can’t get enough! This dress is absolutely stunning! love the ombre effect too! Thanks babe! So sweet 🙂 have a great day!